Major companies and manufacturers such as REI, Marmot, and Big Agnes to name a few, are starting to catch on to the benefits of lightweight backpacking. Their product developers are now designing gear with weight in the forefront of their minds. New technologies and materials are also allowing the envelope to be pushed further and further. Whether the companies themselves are pushing this trend, or whether consumer demand is driving it is up for debate. But what it means for you and me is that we get to hit the trail with less weight on our backs. Even if a company is renting cheap storage space down the street rather than having offices and manufacturing plants around the world, they can still offer some of the best products on the market. Written exclusively for Wild Backpacker by our guest writer, Ryan Gardner. See About the Author section below. Long before these major companies were considering weight as a primary factor in gear design, talented individuals were designing and manufacturing gear on their own, and selling it to like-minded backpackers. Just as these small companies were pushing the envelope decades ago, they continue to be innovators in the backpacking world. While a lightweight pack can be achieved with major-manufacturer gear, the products being designed by the outdoor cottage industry make achieving a truly light pack much easier. I was introduced to the cottage industry almost 4 years ago, and I have had nothing but great experiences. Instead of dealing with a massive, faceless company, a phone call or email to these cottage industry companies are typically received by the owner and founder of the company. I’ll share one particular experience that stands out in my mind to show you the kind of service I’m talking about. Several years ago I was interested in getting a backpacking quilt for summer use. I was debating between making my own or buying one from Ron Bell (owner and founder) of Mountain Laurel Designs. I called the company, and Ron answered the phone. In a round-a-bout way, he realized I was considering building my own. Rather than trying to sell me on his product, he spent 30 minutes with me talking about what materials would be best to use, how to sew the various stitches, and other tips and tricks that I would never have known. A few days later, after doing some more research and realizing the amount of work involved in such a project, I decided to rely on Ron’s years of expertise and let him build one for me. I have done business with Ron several times since then, and his service and workmanship are always top notch. Another thing that draws me to the cottage industry is knowing who is building and sewing my gear. Most major outdoor companies have outsourced their manufacturing to third-world countries. I have a lot of gear that was built in third-world countries, and to be honest, I can’t really say I’ve had any complaints. But think about this – that gear is probably made in Indonesia by some man, woman, or child, who has never been backpacking in their life. Cottage industry gear is hand-made in the US by a truly passionate backpacker just like yourself (except with amazing skills on the sewing machine!). I’m not trying to make a political statement about US-made products or child labor – I just get a sense of pride, confidence, and comfort knowing my gear was made by a fellow backpacker. Because you are working with an individual, custom options are available that would not be possible with a larger company. Because these companies are smaller outfits, products are often built when ordered or may be on back-order. Shipping times are usually listed and updated on their websites. Wait times for items not in stock can be anywhere from one week to two months, but believe me, these products are worth the wait! I’ve listed below some of my favorite cottage industry companies. I have personally done business with most of these companies and have always been very pleased with their products and service. Products: Ultralight backpacks, tarps and shelters, sleeping pads, trekking poles, cookware, and various accessories. 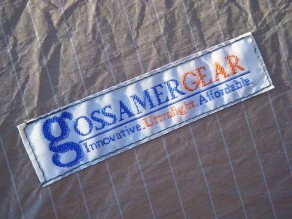 Products: Down quilts, down hoods and sleeves, hammocks, tarp shelters, sleeping pads, and various accessories. Products: Ultralight backpacks, bivy sacks, clothing, cookware, hammocks, tarp and pyramid shelters, synthetic quilts, sleeping pads, ponchos, stuff sacks, dry bags, storage, and various accessories. Products: Some of the best down equipment ever made – down quilts, jackets, parkas, and booties. Expensive, but extremely high loft and lightweight gear. Products: Backpacks, tents, tarps, bivy sacks, and raingear. Products: Very light single-walled tents. Products: Ultralight bivy sacks, pyramid tents, cookware, down quilts, carbon fiber tarp and tent poles, down beanies and booties, trekking poles, fishing poles, and packs. Products: Ultralight packs, pack covers, rain gear, and stuff sacks. Products: Backpacks, shelters, clothing, and various accessories.